InPage Urdu Professional lets you start typing Urdu, Punjabi, Arabic, Farsi (Persian), Pashtu, Hindko, Sindhi and Kashmiri languages featuring symbols, keyboard shortcuts, spell check, picture and table with ease and access. These are local languages mostly spoken in South and Western Asia territories including Afghanistan, Iran, Pakistan and India as well. Composing letter, design visiting cards, posters, brochures, wedding cards, pamphlets, yearly calendars, notes, newspapers, TV or print media advertisement, invitation cards and student papers in InPage. It lets everything just like Microsoft Office Word such as designing, inserting, printing, editing and much more. 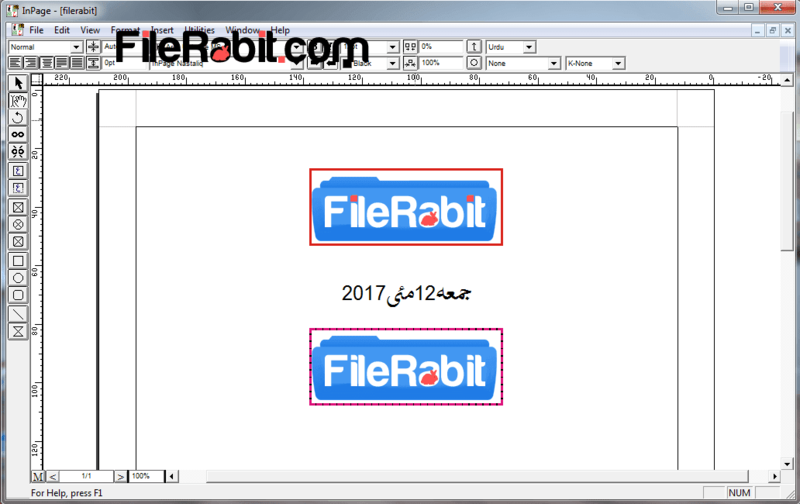 There are several integrated fonts including Aftab, Muhammadi Quranic, Noori Nastaliq, InPage Nastaliq and dozens of updated collection. The interface is similar to InPage 2004, InPage 2009 and InPage XP 2012 versions but this version has something new like colors, border styles, fonts, table lines, spell checking, symbols and even more. Create predefined pages with different sizes, set orientation, margin and page working area. InPage Pro is set to updated with newly keyboard shortcut support, left to right or right to left typing and autosave with custom time support. Choose keyboard type with going in keyboard preferences through edit > preferences option. 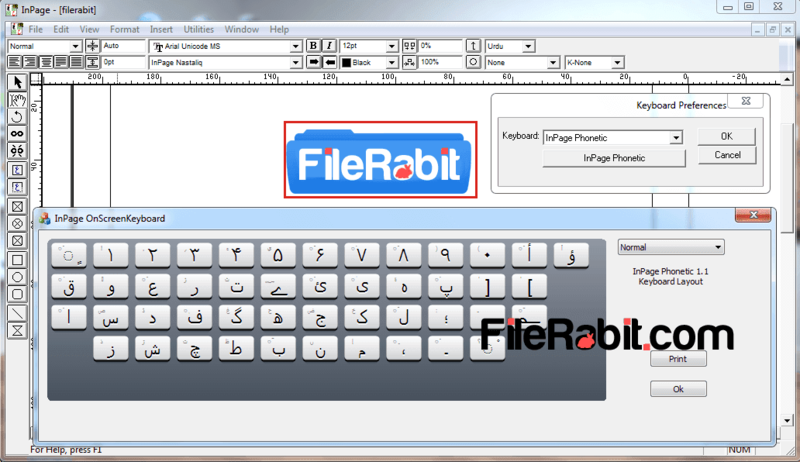 Keyboard view button will define a clear keyboard layout for user to identify English alphabets into target language. For example, Phonetic is mostly common used keyboard for Urdu typing masters but some of them were using aftab as well. Furthermore, the view keyboard feature will also define key actions with shift, ctrl and Alt keyboard buttons. Install custom languages from control panel will let this software to switch to different languages though keyboard buttons. Compose a simple application or design table with unlimited rows and columns, everything can be accessible though this simple and responsive application. The printing preferences are too simple to configure, exporting file in EPS format, adjust scaling, zoom, page numbering, measurement units, and stylizing borders are professional features. After typing data just count words from utilities button. Get updated underline styles, background/text colors, inserting media and stylize target file though exporting data to Adobe Photoshop and CorelDraw. 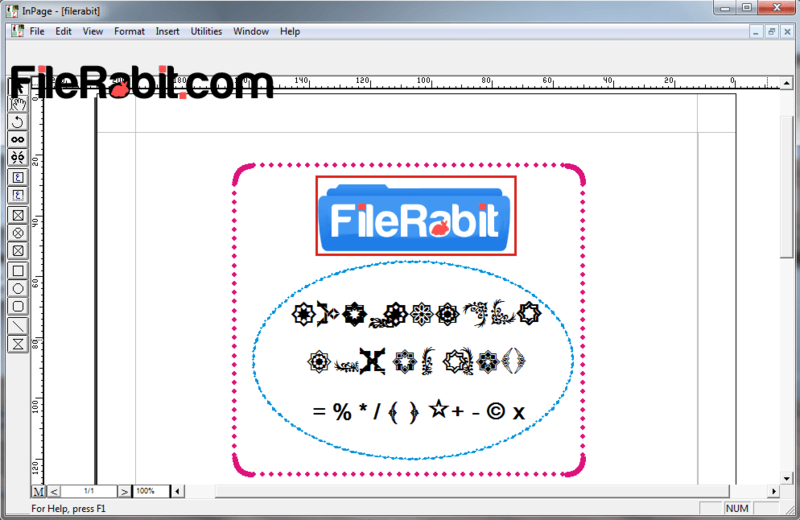 These applications will let the user advanced designing with adding logos, signature stamps, letter heads, brightness contrast and more advanced designing skills.